For cooling open or semi-open areas, targeting the cool air in the necessary areas, for maximum efficiency and energy saving. 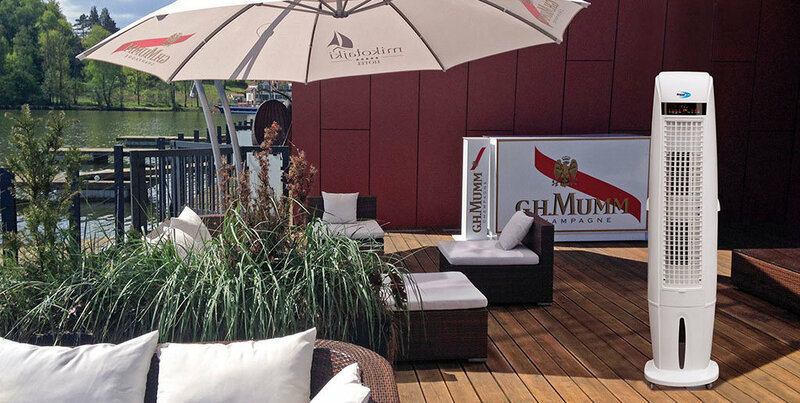 They do not require installation, can be used immediately and placed where they are required. They reduce the perceived temperature by approx. 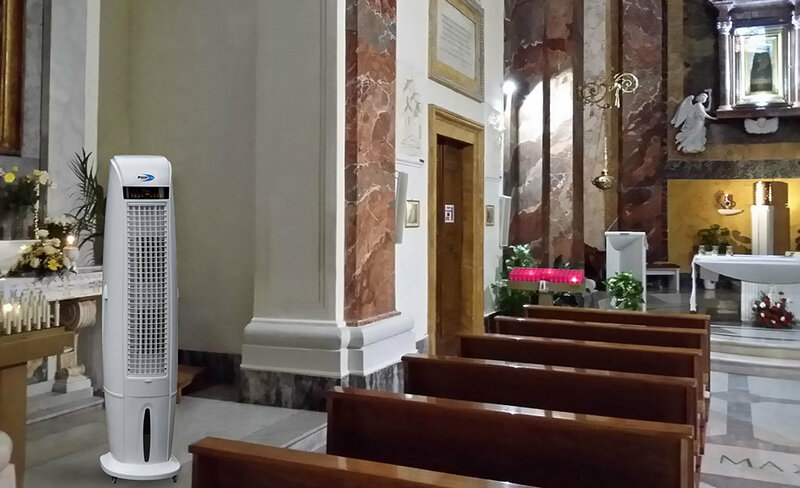 5°C/7°C, with a pleasant oscillating, adjustable ventilation effect. 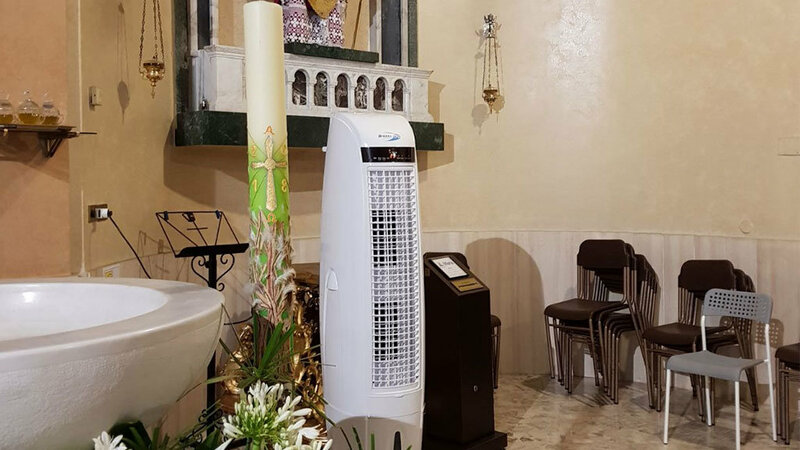 BREZZA170 is an evaporative air cooler with a height of 170 cm that provides a high flow of cool air inside outdoor areas, under sunshades and beach umbrellas and in churches and places or worship. 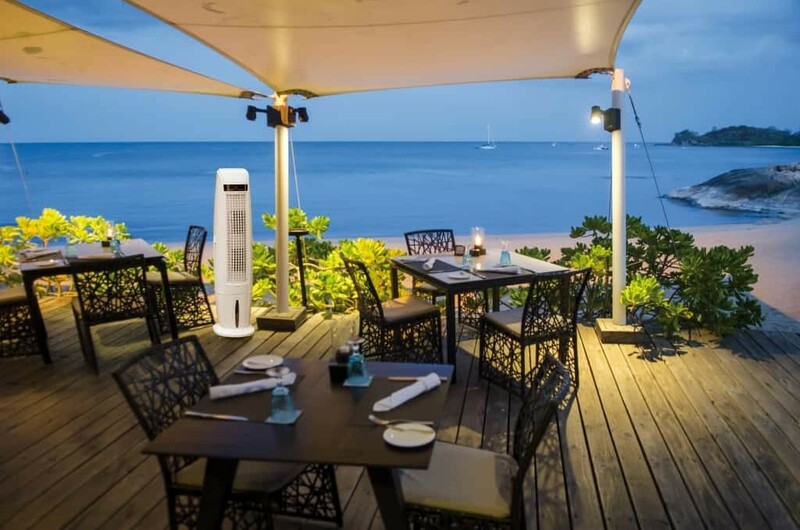 The powerful 3500 m³/h flow of cool areas can be adjusted both horizontally and vertically.